Outdoor weave arm chair. Stackable and easy to manage. Black synthetic weave. Delivered assembled and ready to use. Perfect for use Outdoors in a high traffic sociable area. 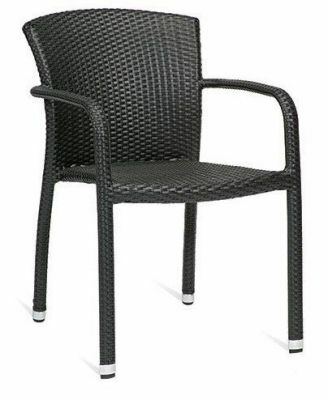 Outdoor armchair in a black synthetic leather weave. Suitable for commercial applications. 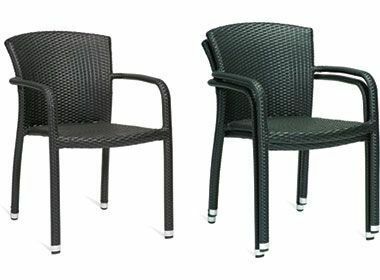 Popular with commercial establishments such as garden centres, outdoor coffee areas and homes.